This photo is Riomaggiore, one of the five villages comprising the Cinque Terre. For more reading on this incredible area, please visit Tourist by Chance. Pistoia (image credit) was on my list this summer, but I never made it. Reading this post from Debra Kolkka, I regret missing it! But given that Pistoia is an easy train ride from Florence, I feel certain that I’ll get there some day. Matera is an ancient town within reach of my Puglia family, in the south. I have read many different accounts of Matera (some linked here). This photo is titled “Matera al tramonto”, at sunset. It is first up next time I’m in southern Italy. Image Credit More reading from La Brutta Figura here and here. 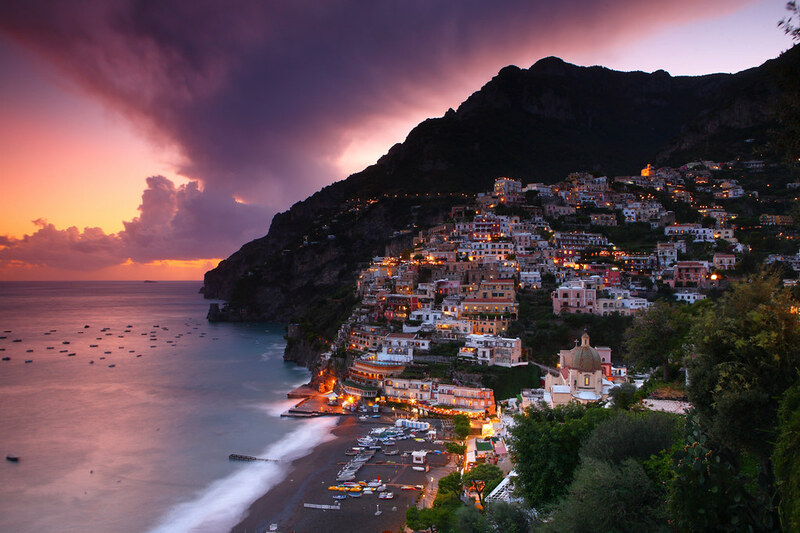 While I have been to the Amalfi Coast (image credit), it was such a long time ago that seeing it again would likely be like seeing it for the first time. Margie in Italy is my go-to site for all things Amalfi. What is on your Italy wish list, and what else should be on mine? Wishing you a year with a long list of travel made and checked off in 2017! Tags: A Snapshot From, Italy, Travel. Bookmark the permalink. Pienza is beautiful and the entire area one of our favorites. Do visit in the “off” season though as huge buses stop and disgorge hundreds of tourists and you can feel like you are in DisneyLand, not a good thing IMO when one is in Italy. Matera and Alberobello are on my list as is Sicilia and Sardegna! That book has been on my list for a while, I really would like to get to it this year! Very similar to the wishlist I created 😉 Nice post. I love that shot of Pienza! My pleasure! I will correct the spelling of your last name (sorry!) You are so blessed with your home in Italy to be able to see so much! We bought our apartment in Bagni di Lucca 13 years ago. It is the best thing we have done. It has enabled us to spend long periods in Italy and enjoy being almost locals. My name catches most people out. It is Finnish, hence the double k.